Donn Beach (formerly Ernest Raymond Beaumont Gantt) created Tiki when he opened a small nautical-themed bar, Don’s Beachcomber Cafe, in a tiny nook on McCadden Place in Hollywood in 1933. Patrons who wandered up the street from Hollywood Boulevard were intrigued by the novel ideas the encountered, but few of them realized that they were participating in the founding of an important style and cultural aesthetic which would sweep over the country and the rest of the world for nearly a century. A world traveler and adventurer, Donn was the original inventor of more than ninety exotic rum concoctions, including the Zombie, Cobra’s Fang, and Pearl Diver, to name but a few. Here’s a list of his 10 best drinks for your enjoyment. Rich and refreshing, the Never Say Die cocktail (from Jeff “Beachbum” Berry’s Grog Log and Remixed) was certainly one of Donn’s more ambitious sounding libations, yet the drink itself is somewhat mild in nature considering the classic Beach approach of using three different rums. Nevertheless, the flavors are quite robust and have a lot going on for a drink that contains 9 ingredients. Another Beach cocktail, Three Dots and a Dash would also play on similar wartime sentiment, further demonstrating Tiki’s yearning for escapist fantasy amidst economic depression and the theatre of war. Among the more playfully-labeled concoctions Donn was famous for, the classic Missionary’s Downfall (from Jeff “Beachbum” Berry’s Grog Log and Remixed) is notable for its unique appearance, as well as the fact that it requires the use of fresh herbs and fruit to be blended into the drink; something which at the time was largely seen as a modern innovation. 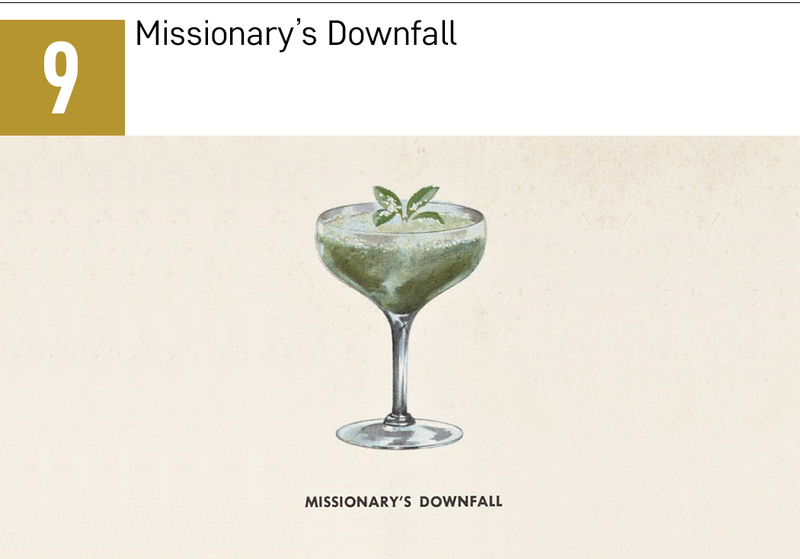 Conceived of in the late 1930s, the Missionary’s Downfall is cool and refreshing with a subtle shot of honey and peach to keep things interesting, despite the fact that the drink is lower in alcohol content to many of its Tiki siblings. During World War II (1939-1945), numerous missionaries in Africa and Asia in British, French and Belgian colonies were expelled or detained for the duration of the war (if their nation was at war with the colonial authority), which would have had an influence on Beach’s background in the armed forces. 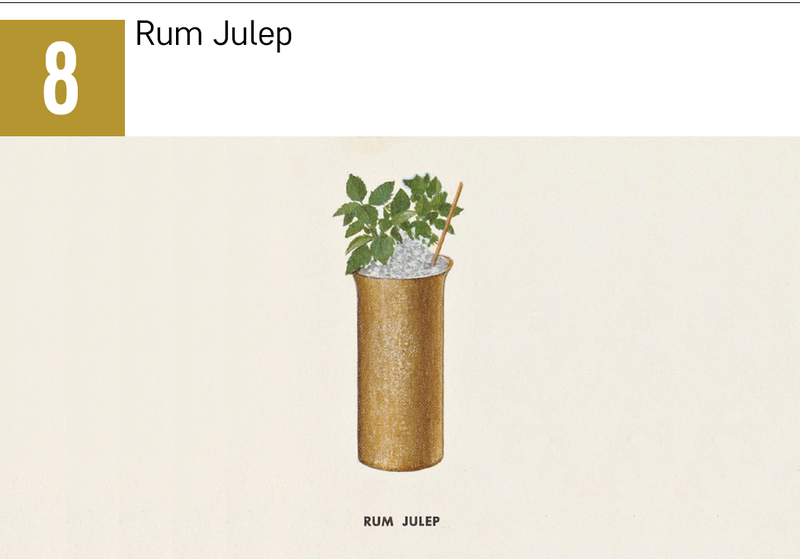 The Rum Julep (from Jeff “Beachbum” Berry’s Sippin’ Safari) is not one of Beach’s best-known cocktails, despite the fact that the name itself proved to be popular in nature (much like a classic Planter’s Punch, for example) and could, therefore, refer to any drink. However, this souped-up concoction displays all the classic hallmarks of Tiki. Donn’s Julep-style creation, yet again, features honey and a whopping 9 ingredients, however, what makes the drink stand out is the use of allspice, which was one of Donn’s secret weapons. 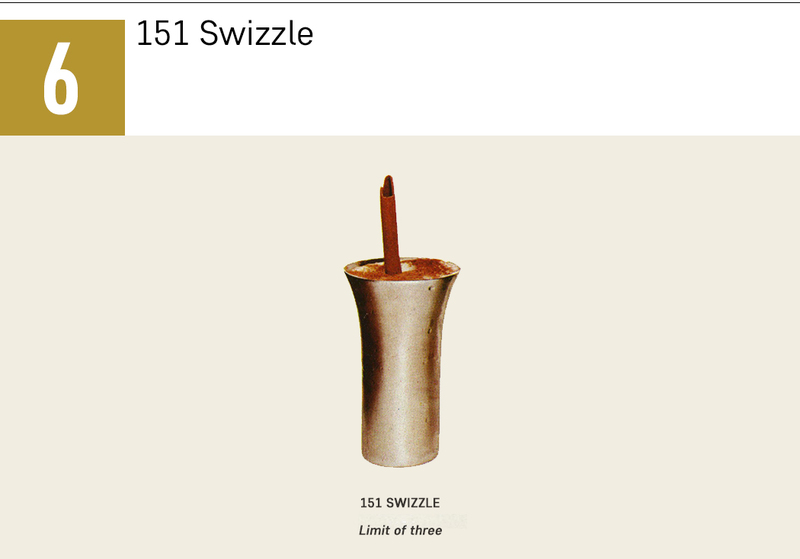 Featuring the elusive flared metal swizzle cup in the original illustration (as seen above) very few places serve the drink like that today. Like the Rum Julep, this is another one of those less known Beach concoctions. However, if there’s one drink Tiki archeologist Jeff “Beachbum” Berry should be proud of unearthing (after the infamous 1934 “lost” Zombie Punch recipe), it has to be Donn’s elusive Nui Nui cocktail (circa 1937), which had never before, been published. While seemingly straightforward in nature, this drink somehow manages to taste like ambrosia. A big taste of citrus and vanilla mingle with the rich flavor of dark rum and the bite of allspice in this wonderfully refreshing cocktail. Interestingly, while the drink itself does not pack too much firepower, Donn would only limit three to a guest – most likely, due to the drink’s apparent smoothness and ability to mask its alcohol content. NOTE: A lot of Donn’s formulas made it difficult for users to gauge how dangerously drunk they were becoming – in part, due to the drink’s unusual flavors and seamless balance. In fact, this very reason might have prompted many of the drink limit restrictions. One has to remember that back in the 1930s nobody had experienced these types of multi-layered, high-proof concoctions before so great care had to be taken to advise drinkers who were less familiar or less concerned about the signs of severe intoxication. 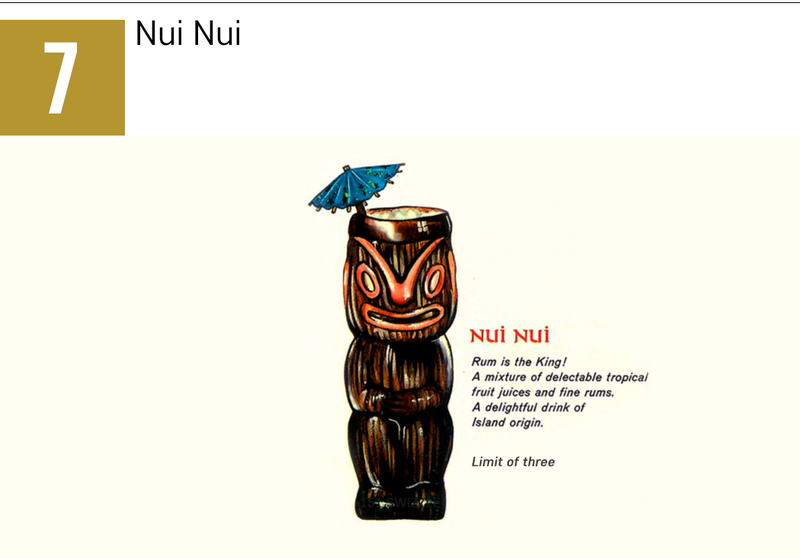 Not surprisingly, ‘Nui Nui’ means in Tahitian ‘Much More’. The potent 151 Swizzle (from Jeff “Beachbum” Berry’s Grog Log) packs just enough firepower that Donn himself would limit only three per customer. With a healthy dose of Lemon Hart & Son® 151 Rum, Donn’s classic was essentially a souped-up Daiquiri on steroids. While there has been much debate on the potency of a good ‘swizzle’ recipe, not too many hit the spot like Donn’s original. Displaying that unmistakable Demerara robustness, the heavy-bodied flavors are quickly tempered by the sweet and the spice, but with just enough heat to keep things moving along smoothly. Other swizzle variations which we consider to be top-notch are Martin Cate’s popular 2070 Swizzle, Tim “Swanky” Glazner’s Swanky’s Swizzle, and the Mai-Kai’s 151 Swizzle, a close descendant of Beach’s original. The Mai-Kai’s version, which has been on the original menu since the restaurant first opened in 1956, is perhaps, one of the best versions you’ll ever try. NOTE: While Beach’s original version may make you wince slightly, the Mai-Kai’s version is butter smooth and has a curious ‘spiciness’ to it that is impossible to replicate. With a tradition of quality over 300 years old, Demerara rum is rich, dark, and flavorful, with the iconic Lemon Hart & Son® name being the only rum directly called for in many classic Tiki-era concoctions. For more history on Lemon Hart & Son® Rum, click here. The Pearl Diver (from Jeff “Beachbum” Berry’s Sippin’ Safari) is definitely one of Donn’s most distinctive cocktails, not least due to the intricate and unique butter-based mix that the drink calls for. Rich, creamy, and soothing with twangs of orange and honey, the original Pearl Diver spawned many riffs utilizing the aptly-named ‘Don’s Gardenia Mix,’ however, it was the uniquely shaped, ribbed glassware that really garnered all the attention. Fading into obscurity sometime in the 1970s, the unique vessel was gloriously resurrected by famed Tiki archeologist Jeff “Beachbum” Berry back in 2014 (via an ambitious collaboration with Cocktail Kingdom) and is still faithfully served at Fort Lauderdale’s iconic Mai-Kai restaurant in Florida. 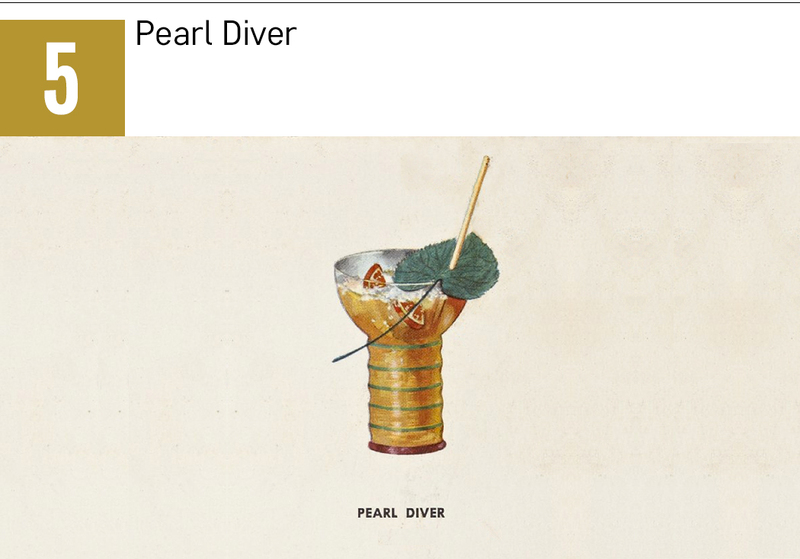 NOTE: Like the Missionary’s Downfall which required fresh herbs and fruit to be blended into the drink, the Pearl Diver showcased Beach’s genius for molecular mixology, something that wouldn’t be fully embraced until some 70 years later. Invented in 1937, the Q. B. Cooler (from Jeff “Beachbum” Berry’s Remixed and Sippin’ Safari) immediately calls for much debate about which drink spawned what, and who the original inventor was. Most people universally agree that Trader Vic was the original inventor of Tiki’s best-known drink, the Mai Tai. However, it is also believed that Beach’s Q. 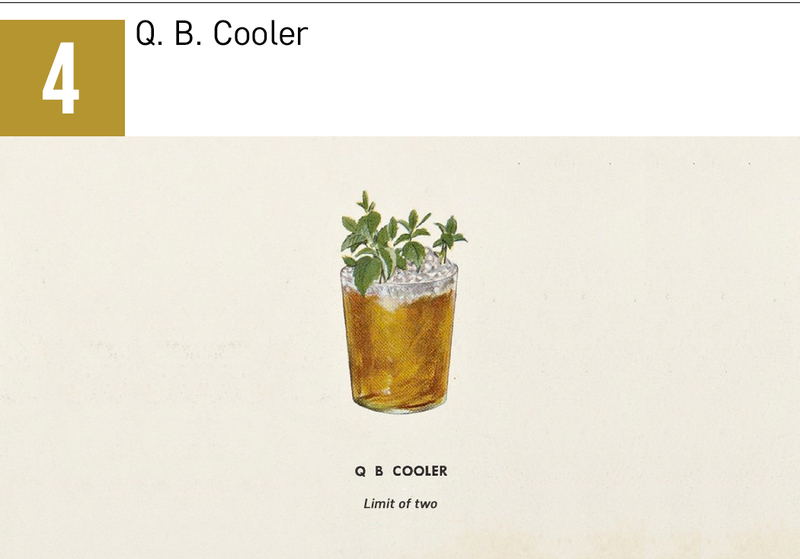 B. Cooler (Q. B. standing for ‘Quiet Birdmen,’ a secret aviator society created after World War I) served as an earlier inspiration to Vic who secretly concocted his own version after sampling Don’s creation, and renamed it. However, while the truth may never be known, it can’t be denied that Donn had engineered a profile so intoxicating that it had people scrambling. While Trader Vic’s Mai Tai is a great drink, the Q. B. Cooler is a more complicated concoction with three kinds of rum and two citrus juices, as well as falernum, honey, and Angostura bitters. Limited to only two-per-person, this drink is deceptively smooth (as were most of Beach’s drinks) to the point where you really don’t know when the three different rums are going to hit you. One of the rums used, Lemon Hart & Son® 151 Rum, no doubt accounts for the drink’s two-per-person limit. 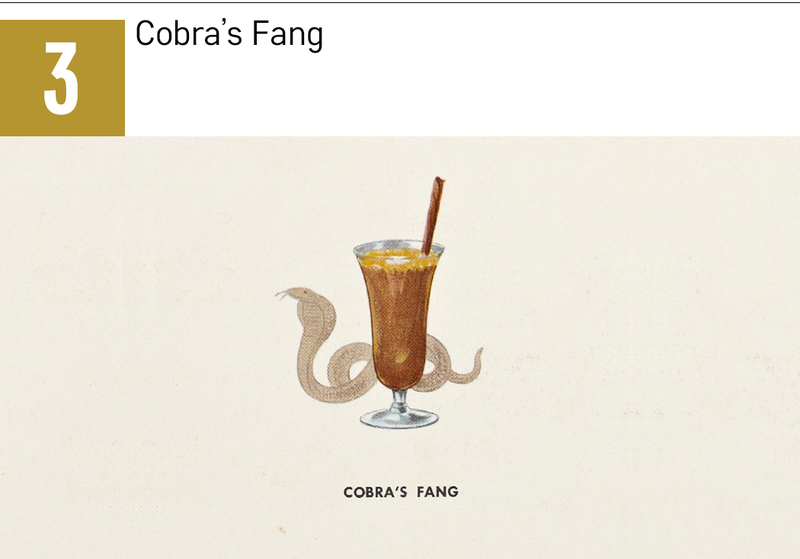 The Cobra’s Fang is one of our personal favorite Don the Beachcomber cocktails, not to mention one of his most widely touted, which was known for containing one of Tiki’s most elusive ingredients, fassionola. Originally created in 1916, fassionola is still manufactured by the Jonathan English Company based out of San Diego, California. Produced in limited 60-gallon batches every 12-14 months (depending on demand), it comes in red, gold, and green varieties, however, it was the red fassionola that featured in quite a few of Beach’s original concoctions (the Pi Yi, Cherry Blossom Punch, Beachcomber’s Rum Barrel, for example) and was famously used in Pat O’Brien’s original Hurricane, concocted in New Orleans sometime in the 1940s. NOTE: Jonathan English red fassionola tastes very much of candied fruit punch, whereas the gold version tastes primarily of passion fruit and orange, with the green fassionola having a very guava, and lime-forward profile. Originally marketed as “The Taste Thrill of the Century,” fassionola was hugely popular during the 1930s and 1940s and gave way to offshoots like ‘Passionola,’ a passion fruit flavored version of gold fassionola which was the more popular variant. They even had passionola soda and passionola fruit cordial. However, while there are many companies now claiming to have a so-called ‘fassionola,’ there is only one original version, Jonathan English Fassionola. To order Jonathan English Fassionola, please click here. It there’s one Tiki drink (outside of the Mai Tai and the Zombie) that could sum up the entire tropical mixology genre, it has to be Donn’s Three Dots and a Dash cocktail (from Jeff “Beachbum” Berry’s Sippin’ Safari). 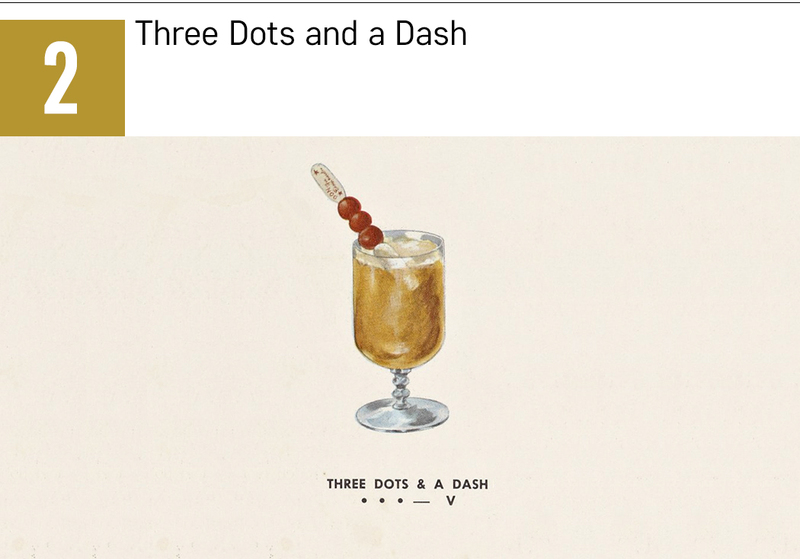 Distinctive for the ‘ • • • – ‘ morse code symbol for “Victory,” the drink was concocted by Beach as a tribute to American servicemen fighting overseas, and featured a signature three speared cherries and pineapple chunk garnish. Beach, who himself was in the armed forces, created something that not only has all the classic hallmarks of multi-era Tiki, but appeals to every palate and proves to be both refreshing and mysteriously exotic all at the same time. The key to this drink, however, was Beach’s clever use of sweet and spice elements, and the splitting of base spirits to mellow out the flavor. The popular namesake Tiki bar in Chicago, birthed by Tiki mastermind Paul McGee in 2013, serves a pretty good version, as does Florida’s world-famous Tiki temple, the Mai-Kai. The Zombie (christened, it’s said, by a customer who claimed drinking three of these had rendered him “undead”), is the Mona Lisa of all Tiki drinks. The learned historian who added this death-dealing potion to the pleasures of the thirsty was none other than Tiki archeologist Jeff “Beachbum” Berry, whose groundbreaking 2007 book Sippin’ Safari, finally revealed the “lost” 1934 Zombie Punch recipe. 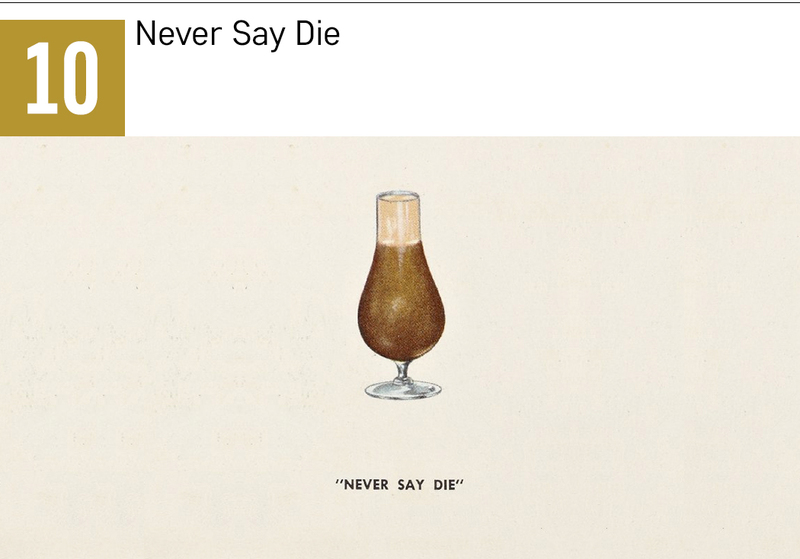 So popular was the drink that it even had a glass named after it (the 13-ounce, straight-sided ‘Zombie glass’) which is now used far and beyond tropical mixology. The cocktail was also historically notable for calling out for the use of Lemon Hart & Son® 151 Rum by name, something very few recipes did. As such, when one is to make an original Zombie, only Lemon Hart & Son® Rum should be used. 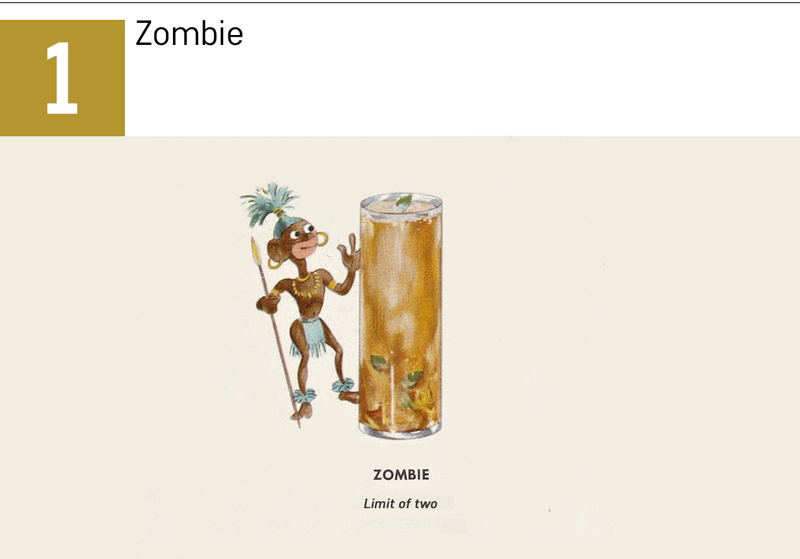 Interestingly, despite the Zombie’s exalted status, the drink itself wasn’t Beach’s best, not least since the recipe itself was tweaked many times over the years. A larger than life creation, the Zombie proved to be more style than substance. It might be worth pointing out, that when Donn first opened for business, it was ostensibly to meet the demand of heavy-hitting drinkers after a 14-year ban on public drinking; Beach opened up shop the day after Prohibition was repealed in 1933. NOTE: A big shoutout to Jeff “Beachbum” Berry, Tiki’s official historian, who uncovered all of the aforementioned recipes. 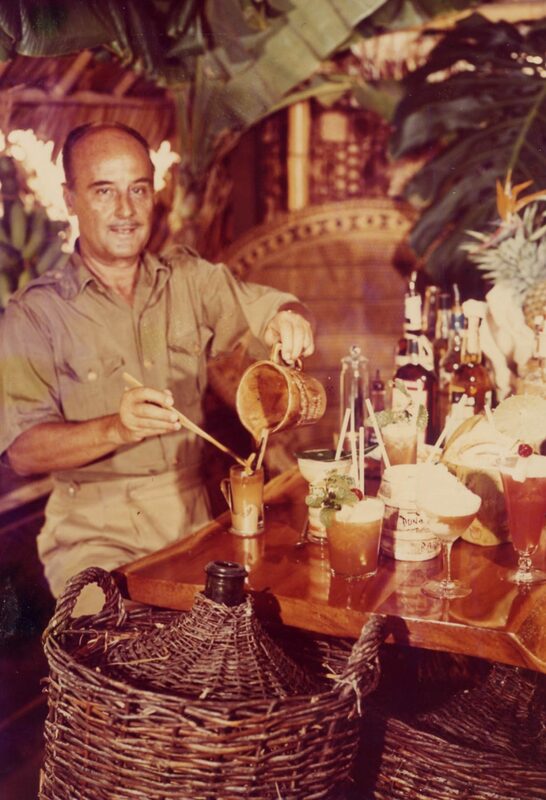 By combining cryptic evidence with relentless guesswork and fervid experimentation (which in some cases took several years), Berry was able to uncover a treasure trove of Tiki goodness, all of which can be found on cocktail menus the world over. A great resource for Zombie recipes is Professor Cocktail’s seminal 2013 recipe book Zombie Horde, which contains a whopping 86 Zombie recipes. Additionally, the history of all listed recipes (including well-received ‘tribute’ recipes) can be examined at more depth at the excellent Tiki blog, The Atomic Grog.